American Powertrain, one of the world’s largest TREMEC dealers, is introducing the next generation Pro-Fit 6-speed system for 1968-’82 C3 Corvettes. The system looks like the original 4-speed transmission with the correct shifter position in the factory console, according to the company. 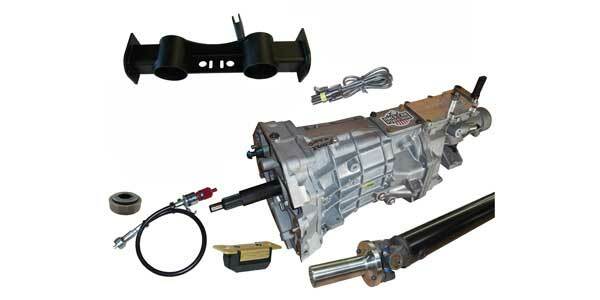 Designed as a complete kit, it features an American Powertrain customized TREMEC MAGNUM 6-speed transmission that offers a choice of four different gear ratio combinations, including a new crossmember, driveshaft, trans mount, offset shifter mechanism, calibrated speedo drive, Speedo cable, reverse light harness, 6-speed shift pattern plate and mounting hardware. The transmission is rated at 700 lb/ft. and will shift up to 7,000 RPM. American Powertrain says its DOM steel driveshaft, built with an exclusive billet face flange yoke, will make installation a five-minute job, even in the narrow tunnel of a classic Vette. Options are available to upgrade to an aluminum, chromoly or carbon fiber driveshaft. 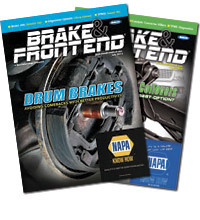 For more information, visit americanpowertrain.com.